Dinosaur Comics - April 28th, 2017 - awesome fun times! –I AM TIRED OF COMPANIES BEING SASSY ON SOCIAL MEDIA. 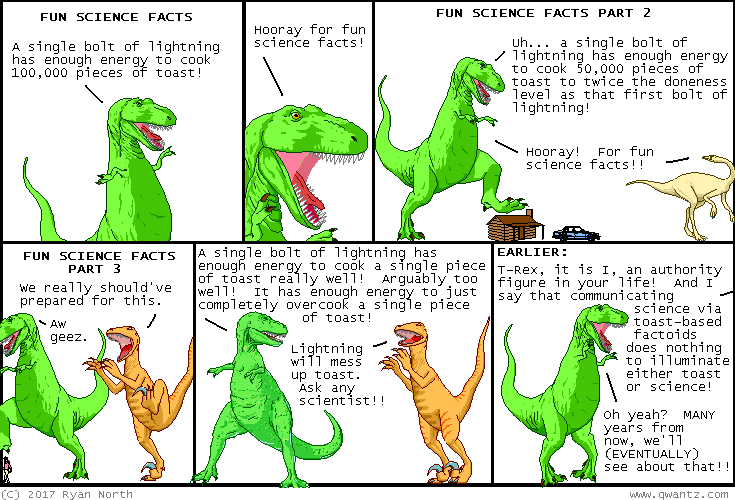 April 28th, 2017: Odds are much greater that someone will be reading this comic while eating toast than they are that they'll be reading this comic while being struck by lightning, but according to science, BOTH are possible! !